Continuing the ongoing series of interviews on fantasy user interfaces, it gives me great pleasure to welcome Karen Sori. As the graphic designer on the recently released “The Circle”, her work brought together the physical and the digital worlds of the story. In this interview we talk what graphic design for film is, how it can be both pervasive and invisible, working on productions of different scopes and being constantly challenged to find solutions to new problems. As we transition to talk about “The Circle”, we start with designing the physical spaces of that world, and creating a design system that defines the company’s identity. Diving deeper into the digital part of it, and screen graphics in particular, Karen talks about choosing the red color for the logo and the main interfaces to convey the sinister undercurrents of that company’s technology both internally and externally, the visual aesthetics of the interfaces and the decisions made to reduce the traditionally negative connotations associated with the red color, and taking interface elements out of the rectangular confines of the screen and into the physical space around the main character. Karen: My name is Karen Sori, and I’m a graphic designer for film and TV. I grew up with the love of movies very much present in my household. My father enjoyed them immensely and always made it a point to share everything he had watched growing up. So many of his memories of watching movies are tied to when he and my mother were traveling in South America as immigrants. It is a remarkable thing that movies can inspire joy and transcend any age, gender, culture, and circumstance of their audience. After moving to the States from Sao Paulo in grade school, I remember one of my first outings with my newly acquainted cousins was a trip to Disneyland. I didn’t yet understand or speak English at the time so observing the visual feast before me was incredibly surreal. I was old enough to know that it wasn’t real but observing the buildings, the playfulness of scale, the whimsy of the characters– the delight of fantasy really stuck with me. All through school, I was fortunate that my parents put great value in pursuing a career and life in something one loved. Never was there a moment when they made me feel I had to compromise the pursuit and expression of creativity for something traditional for the sake of convention. So I set my sights on becoming an Imagineer for Disney and the vehicle in which to get there would be an education in architecture. Through my time in school, I made it a point to experience working at various architecture firms to help inform and better shape an understanding of what professionally practicing meant. And as much as I loved my education and found so much appreciation for a whole new aspect of the world around me, by my thesis year I knew I wanted to shift gears upon graduation and find a career that captured the spirit of world-building like Imagineering and the technicality of spatial design. I’ve always been a planner so breaking from my own set road seemed terrifying. Ironically enough my father was the one to encourage me to not be bound by expectations (even my own) and to pursue something meaningful and lasting. So I took a chance and made a deal with my parents. For one year I would try and get my foot in the door in the film industry. And if it didn’t pan out into anything real, I would happily return to architecture knowing I had at least tried. But where to begin? I didn’t know anyone or anything about the industry. I needed to research and get educated on what this world was really like. What is it that art departments do exactly? So I sat down and made a list of every movie I ever enjoyed and thought was visually compelling. I signed up for a month free trial of IMDb Pro (college graduates, especially middle of a recession, aren’t rolling in money unfortunately) and started digging. I looked for production designers, art directors, set designers – anybody that I could contact and would be willing to have an open dialogue with. I had an Excel sheet with all the names, when I’d emailed them, when they called back, so on and so forth. I did my best to not be a huge bother, but persistent enough to express my commitment and curiosity. It was surprising that a number of people actually responded with such sincerity and earnestness. It was around eight months in when Beth Mickle who designed “Drive” was prepping to do Ryan Gosling’s first directorial movie “Lost River” that my first opportunity to be on a real art department came. I jumped at the chance. I packed my bags and bought a one-way ticket to Detroit. Looking back, it was the perfect project to get me acquainted with film-making. It felt like summer camp. It was a small crew with a really small budget but wonderfully kind people that wanted to make Ryan’s vision happen. I started out as an art PA (production assistant) like anyone else and worked my way from project to project. Through the ups and downs of the business, I learned and absorbed as much as possible from every job and every person I met. If there’s one thing I realized in all of this is that opportunities come from anywhere, and from people you may have met for the briefest of moments. There is no reason or rhyme as to when and how things unfold in this industry. So be kind, commit hard work and dedication to your craft, and be grateful you get to do what you love everyday. I am only here because of all those who came before me, opened doors and gave me a chance. Kirill: When you said that your first experience with doing movies was magical, what about the daily pressure and grind on the set? 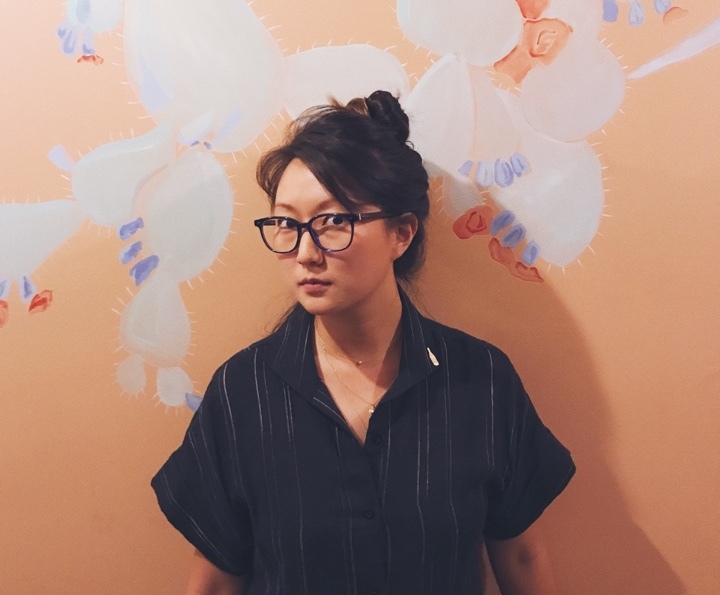 Karen: The crazy long hours and the all-nighters didn’t really bother me to be honest because I came from architecture where the hours and expectations were even more insane. I guess my view on “normal working hours” was already distorted to begin with. 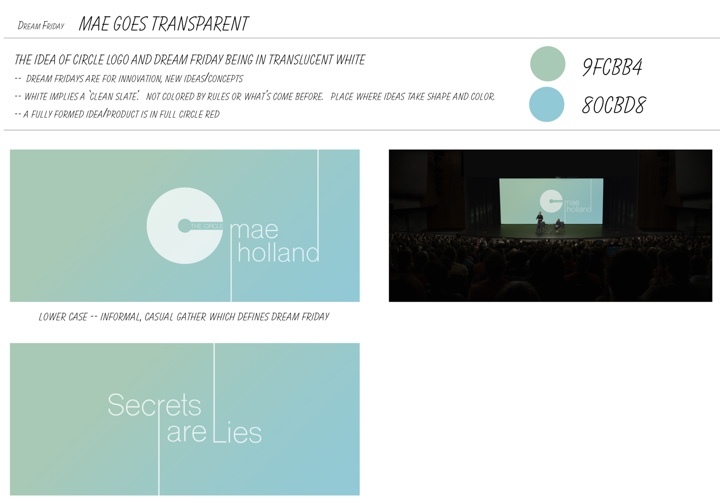 Graphic design for going “transparent” segment. Courtesy of Karen Sori and STX Entertainment. Kirill: What is graphic design for film? What do you say when people ask what you do for living? Karen: I get asked that all the time. First thing people think of is that I design movie posters. I usually preface everything by saying that any time you watch a movie, never does a crew just roll into a space, be it a mansion, a park or a museum, and shoot what is there as is. Everything that you see is considered, curated, designed, created, and carefully placed with reason and intent. Graphic design is in support of that very process. I can design something as small as a book cover or as large as a 300-foot long mural on a municipal wall along the train tracks in Chicago. It’s making something real out of nothing. That’s the best way I explain it to people. I don’t know if it necessarily sticks [laughs], but that’s how I see it. Kirill: If we’re talking about productions that take place in the modern time, we all are used to seeing so many different spaces in our everyday lives. Do you think people underestimate how much thinking goes into creating those spaces for film? Karen: Absolutely. Let’s say you’re watching a drama, and you’re in a cafe. People don’t ever think about the fact that all the menus, the signs on the menus, the logo on the barista’s shirt, are all things that are created specifically for that show. There’s also this entirely unseen side to all of this – legal clearances. Anything I make has to go through a legal department to clear names, phrases, designs etc. It’s a whole process that is not ever evident when you’re watching a movie. People are always shocked when I tell them that that rather small, almost insignificant logo in the background took a great deal of time to create and be approved for legal use. Design process for the graphics of Dream Fridays. Courtesy of Karen Sori and STX Entertainment. Kirill: Bringing you back to your days in the architecture world, would you say that you were doing something more durable or tangible, something that exists in the physical space? If you compare that to what you do for film, where everything is seen through the camera, is there more leeway that allows you to cut corners sometimes? Karen: That was the first thing that I had to reconcile with when I started out. I was observing what the set designers were doing and it blew my mind that they were just designing the surface of the wall and what was in front of it. Anything that was behind that wall didn’t necessarily matter. Given that designing sets you exercise different logic to build something that can be pulled apart to accommodate a camera, crew, etc. I find it amusing more than anything though. It takes so much time in architecture for something to get designed and built. It’s such a long process that sometimes can take years. But in film, something as fantastical as a spaceship gets built in a matter of weeks. It isn’t “real” in the physical world, but it lives forever on film. There’s an ironic permanence to movies. Kirill: But if you’re a sculptor, and you make something, you can hold it in your hands or go around it. There’s a certain tangibility and accessibility to it. On the other hand, while you can watch the same movie over and over, it maybe lacks that physicality aspect. Karen: For sure, but that’s just inherent in the medium. You have to appreciate it and want to extract something from it in different ways. A painting is very different from a piece of sculpture, as it is from architecture. You are stimulated in different ways. That’s the delightful thing in life– being able to find joy and new experiences in everything you do. SeeChange logo options. Courtesy of Karen Sori and STX Entertainment. Kirill: When people watch a movie or a TV show, if they don’t pay attention to every small detail in the frame, it means that everything worked towards telling that story. But it also means that people don’t pay attention to that menu or to that mural, even if it took however many hours, days or weeks of your life. Is there a certain sense of disappointment when your particular part blends so seamlessly into the much larger story? Karen: I always, half jokingly say that the art department is the least thanked department. We do everything to make it look and feel real. But when we have done our job correctly and well, you don’t notice us [laughs]. It is ironic, but I understood that inherently starting out. The story and the characters usually take center stage. Everything else is there to support and amplify that narrative. I personally notice when sets are designed well in movies, but that’s not always the case for every viewer. And that’s ok. There are definitely days when I feel that I’ve worked so hard on that one specific element, and it came out for half a second, and I wish people got to see it for a half second longer. But for the most part, as long as it played into the story and people believed it, that probably is the greatest compliment. It was real in that moment. Kirill: You worked on the art department of “Jurassic World”. How difficult is it to steer a ship of such a gigantic size, when as you mentioned before there are so many voices and opinions that don’t necessarily agree all the time? Karen: I am fortunate that I got to work on movies with different sized budgets when I started out as an art assistant. They differ so greatly in the number of specialized craftspeople in the art department. “Jurassic World” had multiple illustrators, a concept vehicle designer, and many other very specialized craftspeople. It was a chance to see what a full machine looked like, and how specialized people’s craft could be. And it was important to meet all those artists and pick their brains. And it’s true that there are more voices in the room on a project that size. But everyone is a pro. They know that at the end of day, for any of anyone’s ideas to make it to the end, they have to collaborate. I’m still wowed by the fact that these movies are made. It just takes so much and a small army to make it to the finish line. There are so many moving parts. Somehow it always seems to come together. For that reason, it’s important to see the contrast of small, medium, and large budget projects. They differ not only in size but environment and challenges that are unique to each. And whatever part you want to take in the filmmaking industry, you should experience the spectrum so you can be informed. What type of movies do you want to make? What kind of environment do you want to be in? Where do you thrive? SeeChange logo option plates. Courtesy of Karen Sori and STX Entertainment. Kirill: Which end of that spectrum do you prefer? Kirill: But also maybe to have the individuality of each voice get lost on larger projects. It feels that those big budget tentpoles tend to stay on the safe side in the last few years, and not go dare to explore something significantly different. Karen: I’ve had this conversation often with friends. Marvel and DC certainly have the next 25 years of everyone’s summers planned. And the edginess of the stories may take a bit of a back seat as more and more of these blockbusters turn out, but that doesn’t bother me so much. I choose to watch different movies for different reasons and expectations. Regardless of whether one of these movies were good or not—usually the visual and art aspect come out looking great. Exploring the chrome of the browser window. Courtesy of Karen Sori and STX Entertainment. Kirill: Would you say that being in the industry ruined your experience as a viewer in any way? Karen: I would say no. Any movie I watch, I am opting into the story and going along for the ride. It’s the choice you make when the movie begins. That hasn’t changed. The only difference now maybe is that I notice little things, especially about sets. It may be something unnoticed or not considered by others, but being someone who understands the challenge of getting anything designed and on screen… it just makes me have more respect and appreciation for a design well executed. I also find myself splitting my assessment of movies– between story/acting and the design. When one side is lacking, the other usually helps elevate it. But once in a while, you get something stunning that was also an excellent story and that just reenergizes you. Like most people who work in the film industry and have continued to choose this insane rollercoaster of a business every single day, you have to love it (and be a little nuts). Kirill: How did “The Circle” start for you? When does graphics design start on such a production? Karen: In general, art department begins with the production designer. Illustrators are one of the earliest people on to get the concept and key art of the movie shaped. Then when we have to make that concept into a reality, art directors begin and they get the rest of the department going. Set designers and graphics start very close to each other in timeline. As for “The Circle”, I definitely don’t think that we had as much prep time as we’d have liked. I had around 5-6 weeks to get everything together. And graphics works not only in supporting constructed sets but also collaborates with the set decoration, props, and costume departments to give a unified look across the film. Screen elements of Mae’s desk interface. Courtesy of Karen Sori and STX Entertainment. Kirill: Looking at the more traditional, if you will, screen graphics, most of them use dark backgrounds with predominantly teal-blue colors for the foreground elements – text, charts, callouts etc. 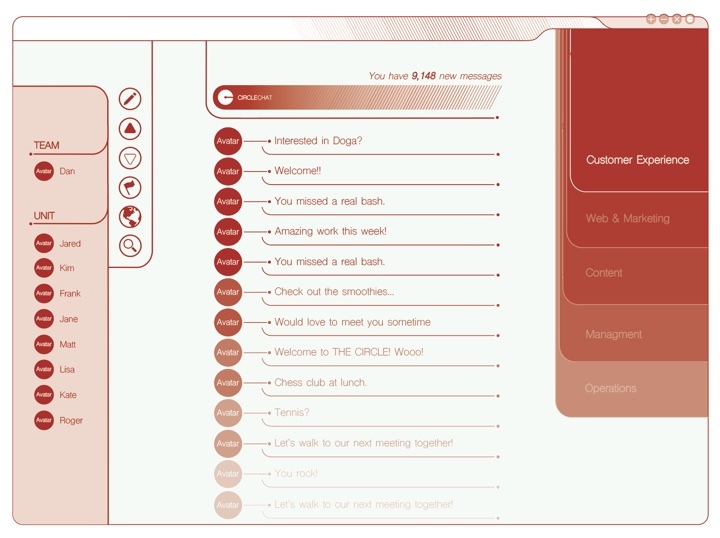 But in “The Circle”, not only the interfaces live in a very bright white background, but they also use a saturated red as the foreground color. If we’re talking about the Western culture, and a lot of modern tech giants are rooted in the West, red has strong associations with danger. You usually use it for severe warnings or errors, and not as the main interface color. Karen: When the logo was being designed, that was a major discussion with the director and the production designer. I had done dozens and dozens of logo iterations in a rainbow of colors. When we landed on red, there was some fear of negative connotations associated with the red, especially in the West. But that is the greatest irony of this company in the story. It is benevolent, talking about how sharing is caring and knowledge is power, and other positive mantras as its core platform. But underlying it all is something quite sinister. I felt that we could use red, and if we could put it in the background and surround it with something happier and light, something very Google and Apple-esque, that would be the best way to represent this innovative company that exists for the good of mankind– but truly is a bit evil deep down. That bold red hiding in plain sight. Kirill: Maybe I’m overthinking it, but would you say that using rounded corners and shapes that were flowing into each other was an attempt to remove the explicit threat that was brought in by the main color? Karen: Once we landed on the red C, everything else flowed from there. I’m happy that you’ve noticed the rounded corners and edges. A lot of screen graphics and texts in movie interfaces has military connotations. It’s crazy hi-tech, Mission Impossible style. But this whole company is not that. They are extremely advanced, but they are the interface that everyone in the world uses. It should be friendly and accessible to the masses. When I was designing the windows and other parts of the interface, it was a conscious effort to make it friendly and happy. Even though it may not be what it is ultimately delivering, but that’s the facade that we show. Kirill: Even though in the movie we mostly see the internal systems that are used by the employees of the company, and then it switches to the pervasively floating comment bubbles, which are not necessarily the interface itself, but maybe a smaller part taken from the video stream. But even internally the system doesn’t want to appear too menacing or invasive to the employees. Karen: Absolutely. Drink the Kool-Aid! It’s a bit of a cult and its members have no idea, and it was a conscious effort on our part to convey that. To instill and reinforce that feeling within the company, the feeling that everybody is doing an amazing thing for humanity and that everybody is a positive force in the world. Look at the scene where Mae is starting to get a hang of things at her new job, but she is not really involved with all the social activities on campus. Then these two coworkers come up and start talking about not seeing her at the weekend barbecue which wasn’t mandatory, but wanted to know why she wasn’t there. They go on about how she should attend more campus activities. Even if they’re not mandatory. That scene to me was the greatest. It really nailed everything. This delusion that they are happy, that they are family, and that they are unified at The Circle. That they have freedom of choice… and yet they are enslaved by the upkeep of appearances. 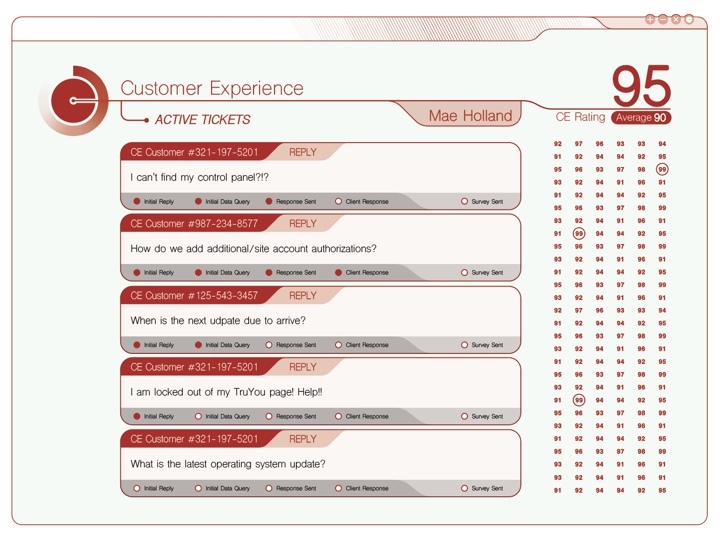 User interface of customer experience workspace. Courtesy of Karen Sori and STX Entertainment. Kirill: Going back to what you’ve mentioned about much stricter, military style systems in sci-fi movies, I was thinking the rather haphazard arrangement of the five screens on Mae’s desk, and duplicated information across those screens. So the system is there, but it’s messy, and perhaps is reflecting the more chaotic nature of that work environment. Karen: She is having to do a million things at once. 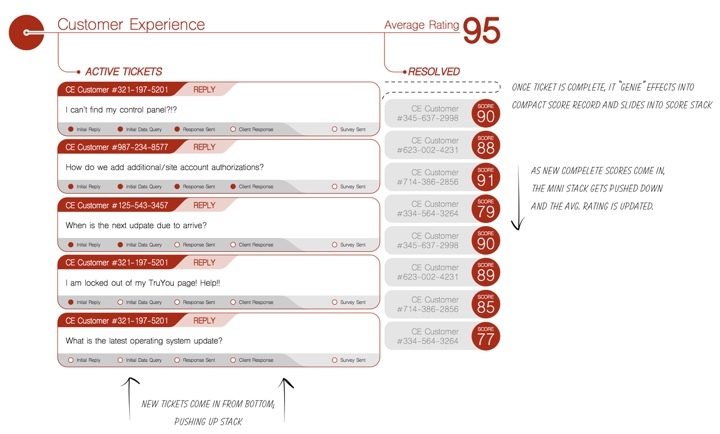 It’s not just customer service. Now she has to care about this social meter. It’s not a popularity contest she’s told, but it is. That’s why the number of monitors she has on her desk is growing throughout the movie. She continues to be overloaded with information, graphs, meters, gauges, etc. Everything about this company has a nice, shiny, beautiful exterior, but it is all seeing and sinister underneath it all. Kirill: There are a lot of screens in our daily lives, and there’s a lot of exploration about how these interfaces can look like in sci-fi productions. How difficult is it to find a fresh take on interfaces? Karen: It always starts with research on what is out there. I haven’t been on Facebook since 2008, so during the first pass on the TrueYou page I had to ask one of the PAs to show me their page and walk me through it. 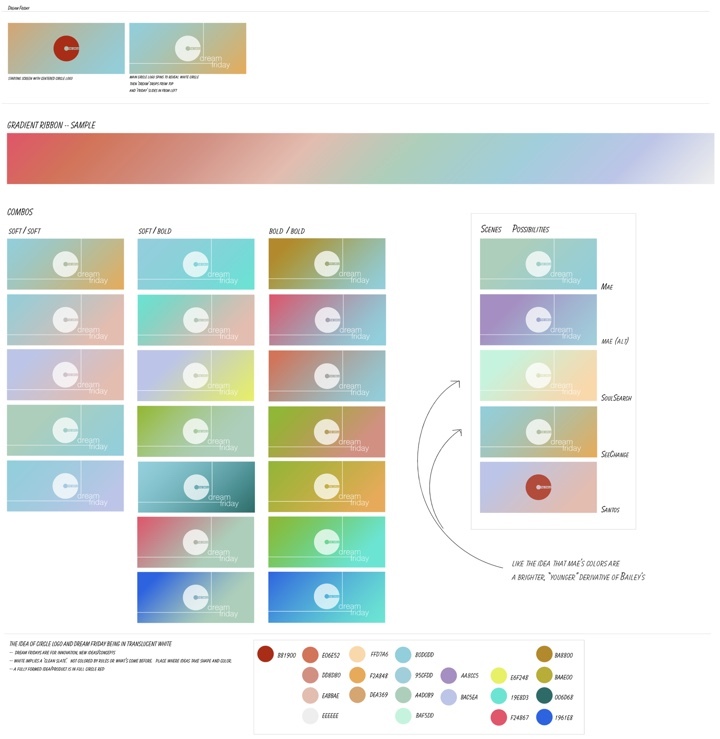 I looked at color choices of other platforms such as Instagram, and even browsers like Chrome, Safari, Firefox. You still need to have all the main elements. You need to be able to minimize the box, or exit that box. But each company’s platform and brand is very distinct. It’s about what they emphasize and what color choices they make. Then you use that as a framework to apply that at the Circle. What would it look like there? There’s the current trend of a lot of big companies that are redesigning their logos and branding to make it minimal and flat. It’s a lot of simplifying and using positive colors, and not having sharp edges. That was a personal thing for me. No sharp edges. You want everything to feel smooth, to feel friendly, to feel that it can’t poke you [laughs]. All the elements that you absolutely have to have in the browser window stayed. But I had a chance to play with how we could change the framing, the elements and the aesthetic, and update it to match what we did for this fictitious company that we designed. Screens of “The Circle”. Courtesy of STX Entertainment. Kirill: And the choice of sans serif fonts followed that desire to remove sharp points. Karen: I don’t want to overly post-rationalize it, but I would say that everything was meant to be clean, minimal and accessible. Kirill: Was there any pushback against going with a single-color palette that used such a strong, vivid red, as far as how it was incorporated into the overall frame? Karen: There definitely was a discussion, but ultimately the director agreed that red was going to be our color. If there were any fears about the harshness of it, it definitely was softened by all the other elements that we had to make to frame it. The red C is the main brand of the company, and every big company has a style guide. We tried to create a style guide for that company, and even though there are different interfaces for external users, internal employees or customer service representatives, there was a conscious effort to make them look unified, but different. The design of other products helped to soften that red and make it a little less sinister. But at the end of the day, you wear that C very proudly. You work for the greatest company in the world, a company that is leading humanity into the future. Kirill: You said that there was gap of a few months between the end of the shooting and when they called you to join them in post. But it’s not like you forgot all the things that you were thinking about or intending to pass on to whoever would be taking over in post – that happened to be you at the end. Take the main logo, for example. We had the names of a bunch of products that would be sold under it, like SoulSearch, SeeChange, etc. We knew that all these products needed to maintain the design language of the company as a whole and also to sell a positive image to its consumers (both within the movie and in the theater seats). We would sit in post and watch the clips, and then discuss with the director, the producer, the editor and the VFX supervisor about the direction and the commentary we wanted to make with this added layer of graphic information. Floating screen graphics of “The Circle”. Courtesy of STX Entertainment. Kirill: Let’s talk about the floating interfaces, as the camera was looking sort of “through” Mae’s screens at her face and panning left or right. What was the intention behind that choice of lifting screen elements and bringing them almost into the physical space that she occupies? Karen: The decision to have that effect was chosen by the director, the VFX producer and the editor. The first time I saw what they did with the floating graphics, I immediately linked it to the first season of “Sherlock”. For me that show was a breakthrough in not doing what every movie had done with screen graphics up until that point. When the hero got a text or an email, the camera didn’t cut to that screen. Instead, he didn’t break from his action, and in real time we saw a blip of information float in and disappear in real time. There is something powerful about that. It’s not so heavy-handed in showing a character getting a message and the audience having to look at a screen of a screen. The actor continues his motion, the audience receives a well-placed piece of information, and the story goes on. So taking that idea and amplifying it– it worked really well in our case. It reinforced that she is being bombarded, especially when she goes transparent, by communications of all varieties. It helped to visually show the clutter and the amount of messiness in the flood of information that she’s getting. It’s the same when she has five monitors on her desk, and it’s a complete chaos of information on those screens. It’s the same when she’s walking through the campus, and it’s dozens and dozens of messages enveloping her. That was really valuable in visually showing a kind of a gag. She is completely immersed. She is in the eye of the hurricane. Floating comment bubbles of “The Circle”. Courtesy of STX Entertainment. Kirill: Once those comment bubbles start popping up, as a viewer I didn’t have enough time to read every single one. And that’s probably mirroring what she is going through on her screens – this flood of information that you’ve mentioned. Karen: Absolutely. When I watched it, I was able to read maybe one silly message, and that’s all you have time for. It’s like Twitter, constantly updating with new information. I don’t think a person can possibly sit there and read everything. That was really great on the director’s part to do that. Kirill: I also liked how those floating graphics in front of her screens were almost always focusing on that big number, the metric that she was supposed to get to 100 and stay there. Even though the graphics had a few seconds on the screen, it was pretty clear what the company is expecting her to achieve in that role. Karen: They’ll never state it outright. But you could tell what they are pushing, what they are expecting and what they are demanding when you work there. It also addresses the inherent challenge of movies and TV. Something that pops up on the screen is so fleeting. How do we dedicate the right amount of time and effort to design something that fits in this world and makes sense when you think about it, but also can display information quickly for an audience member to understand and move on with the story. I’m constantly confronted with that. Sometimes I fall back on my old habits from the architecture. You want to flesh out every detail, and do iteration after iteration after iteration. But, unfortunately, we don’t have the luxury of that time. You want to get in the right amount of explorations before you have to make concrete moves. Also, the way you present that information and deliver it to the audience is different. You have to be conscious to not dumb it down so much that it’s obvious, which is the worst case. But how can we do this in a well-intentioned way where you get the information you need, but it also doesn’t betray the design and the world that we have made? Traditional and floating screen graphics of “The Circle”. Courtesy of STX Entertainment. Kirill: So how do you find that balance between showing too little and too much? Karen: Anything we do in film is confined by deadlines. But specifically for this movie, I was thinking about how logos are designed for brands and companies, and the amount of thought and time that goes into that. When you look at a logo for a company or a store, it can’t have too much information. It can’t be busy. You have to look at it and be like, boom, I get it. When you look at the Pepsi logo, you can look at it from a squint away and immediately know what it is. The clean geometry, the colors, etc. That was always the defining edges for me. I would think about what do I see when I step back. If I knew nothing about this, what stands out? And whatever stands out should be the thing that is emphasized. As a designer, you want to put in a lot of great details and intricate elements. But sometimes less is more, as cliche as it is. You need quick information, but can you make it aesthetically honest? Stage screen graphics of “The Circle”. Courtesy of STX Entertainment. Kirill: I did like the details that you mentioned, the pinstripes in the chrome of those windows, and the flowing edges of elements when they met the window boundaries. It’s hinting at some kind of a harmless quality to that interface, sort of a friendly bubble, where in reality there’s an ever-watching eye underneath it all. Karen: Totally goes back to the cult idea, the expression of a safe, wonderful space. That was the great intention – to be harmless. To convince its workers and the world how transparent and honest they are. It’s certainly hard to fathom an entity that massive could stay honest. They seem harmless but often they are anything but that. I remember that I saw an infographic with all the media conglomerates and its subsidiaries. It’s a massive pyramid that all points up to a hand full of corporations. That’s the idea. There may be layers and layers of smaller brands, seemingly independent companies but it’s all an allusion. Kirill: The comment bubbles are the last big element of screen graphics on “The Circle”, as they come to the forefront once she starts wearing the SeeChange camera. Up until that moment the floating graphics were in sharp focus, and always in front of her. But the bubbles spread out all around her, occupying almost all the space and getting out of focus when they are too close or too far from the camera. So that goes back to what you said about how much information is essentially thrown at her. Karen: It started with those things that she’s consciously looking at, because that’s her work. She’s looking at her ranking, but she’s also talking with her customers. But when she goes transparent, it’s an influx of information that you can’t possibly process every single one. Remember when she’s walking through the campus and she’s followed by this cloud of bubbles? It was a great commentary on social media, and the craziness of it when it’s taken to the extreme level. Her life was completely enveloped by all of that. Hopefully the graphics on the screen embodied, amplified and projected that. Kirill: If you go even deeper into post-rationalizing it, was the choice of color red even better here? Comments on the Internet are pretty terrible in general, and even though the contents of those bubbles were pretty mild in the movie, she is essentially exposing herself to everybody who is online. Karen: The red at its most saturated is the logo. Everything else, including the interface layers on the monitors, was in shades and tones of the red. It kind of blended nicely into pinks. I wanted to use that red, but I knew that I couldn’t put it everywhere. But toning it down and adding some transparency made it very friendly and approachable. Kirill: From the technical perspective, how difficult was it to insert all of those bubbles in post? Karen: I am not an animator, nor a motion graphic artist by any means. I knew the different products and interfaces that needed to be designed. We had a punch list and we allotted X amount of days to each item. The way I laid it out was, in hindsight, a bit of old habit from architecture school. Diagrams are such a big part of explaining a building. How do you move through a space? The design moves of a façade? Lighting conditions in relation to sun path? It’s distilling information to its essence. So I did just that. To help convey how I saw these screen elements animate. I designed the assets and made multiple art boards. I basically made storyboards of the animation, and I would present it during our meetings. We had at least two meetings a week during those two months. I owe so much to the motion graphic artists, because they brought it to life. I did my best to crudely show the animations, with logos of different products in simple GIFs. It was so basic, and I made those in Photoshop just to show the idea of what I imagined it doing. Those guys made it real. Kirill: You mentioned a few times that you thought you’d be done with it when the shooting ended, and that post would be somebody else’s problem. Would you say that the design system that you’ve created for the on-set playback served as the base for everything that was done in post, including things like SoulSearch and the floating message bubbles? Karen: We did spend time during production designing TrueYou and some of the product logos, and I felt like I had started the process of shaping its core aesthetic ideas. But then we had to shift gears and go into production mode – making the physical and spatial. What we couldn’t further develop was left as TBD. I designed as much as I could for when we were shooting, and that does entail taking into account the story and what I think this company represented. Getting to do post was a continuation of what I had started. It gave me more time to sit and think more deeply about the elements and the design. In the middle of shooting you don’t have that luxury. I must commend people who do VFX in post because they have to be archaeologists. Find pieces they need from production and build upon it to create an amazing final product. Even after I had left post, I saw there were some elements that were improved by another set of artists who took what I made and built upon it. Kirill: What about the graphics on Mae’s screens? Karen: Her five monitors were done in post. All the other monitors in the room were playback on set, and they had the original browser that I had created, along with the TrueYou pages. When we got to doing Mae’s call setup as the camera was mainly focused on her and her screens, I started with the elements that I had already designed during production, fine-tuning them a bit more. She is showing different kinds of interfaces on her screens – talking to the customers, or showing the Party Rank and whether she’s involved in the social community of the company. We had to start thinking about those items and products, taking the essence and the structure that were already created during production and building upon them. 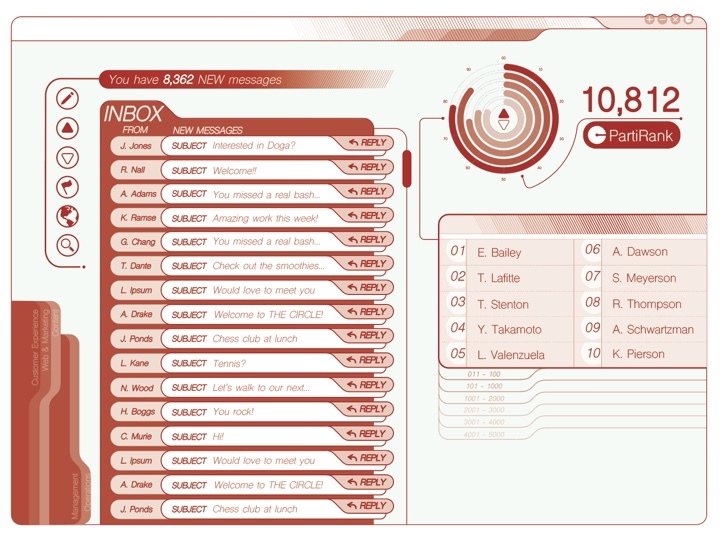 Screen graphics of “The Circle”. Courtesy of STX Entertainment. Kirill: Do you worry about how any graphic design that you do for film in general, and for “The Circle” in particular, is going to survive the test of time? Design trends come and go, and things can date very quickly. Karen: During production when they came to me and asked if I could create a TrueYou page, which was like Facebook but better, I wondered if they knew how insane that request was. Facebook probably paid millions of dollars to teams of branding firms to design their product. And here I am, only one person with two weeks at most [laughs]. I had to be realistic with myself. Take into consideration that we’re making something a bit more friendly, warm, maybe even a little whimsical. That what may not always make sense in our world, could work in the movie’s. And to do the most in the time that I was given. A healthy amount of being conscious of wanting to make something that could last helps guide you in your exploration and fine-tuning of the design. But in the end you can’t let that fear overcome you. You have to deliver a final product. Time won’t wait and certainly not the production. Kirill: How does it feel to see the designs that you’ve imagined and prototyped with those crude GIFs come to life at the hands of motion graphic artists? Karen: There’s a running joke in the art department – only 30% of what you make will maybe be seen, but you don’t know which 30%, so do all of it. In this movie we have a tech company and its technology is really in the foreground of the narrative. So naturally the graphic elements that embody that was front and center. This was the most I have seen any of my elements so present and obvious. You can’t not look at it [laughs]. I definitely enjoyed it seeing it all come alive. It was awesome to see how everything came to be. I’d like to salute all the motion graphic artists. Thank you for making this look cool! Kirill: Do you get to enjoy a production that you’ve known so intimately over however many weeks or months you’ve been involved with? How does it feel to sit down in the movie theater and watch something that you know so much about? Karen: I still enjoy the movie. Knowing all the war stories in the trenches, it’s bittersweet in ways but still all in good fun. Sometimes it’s surprising how the things you think were a bit of a background element step forward. While other times a scene or a set that everybody slaved over for weeks gets completely cut. The way I see it is that we have to equip the director and the editors with all the content that we can provide. Once a movie goes into editing, it can be edited in so many ways and have completely different tones. I think we all have to accept that once we hand over everything we’ve done, that’s it. You hope that everything that you did will be presented in the way that was discussed and designed, but at the end of the day it’s the director’s decision on the tone and the direction of things. Hopefully they stay true to what we all worked so hard to create. Kirill: Bringing you into the world of real-life technology, do you think it’s still crude in some aspects and not as slick or flawless as what we see in movies? How rough are those edges in technology or software tools that we have at our disposal right now? Karen: There are lots of leaps far between what we have and what we fantasize in movies. But most sci-fi movies do their homework in research and basing their fantasy in existing technology. Where are we now? Where can we go? If you look at some of the movies from 30-40 years ago, some of the things that were futuristic for them at that time are the reality that we live in now. It’s a very interesting dynamic that is feeding itself. Something that we see in movies sometimes inspires future futurists, scientists, artists, etc. Kirill: Looking back at your work on “The Circle” where you did design for physical as well as digital spaces, is that something that you’d look to do more of? Are you interested in doing more screen graphics, or are you more inclined to designing physical surfaces? Karen: I see the two as inherently different in approach and environment. This is the only post that I’ve done so I’m sure I’m not seeing the full spectrum of experiences. But I see post as a more independent process when creating. Yes, there is collaboration certainly but it lends to more opportunities to explore ideas in your own space. As versus production which is entirely collaborative (for better or for worse). What you design not only has to stand from an aesthetic standpoint, but it’s very much tangent and affects all other departments so it has to work together. The decisions you make are informed as well as informing others. I always tell people that as much as I love the design aspect of my job– the drawing and creating—my favorite part is getting to work with fabricators, scenic painters, and shops to build and install the final product. That transition from the creative and theoretical to the technical– dimensions, quantities, materials is exciting. This may be my architectural background but I find the physical manifestation of an idea just thrilling. So between the two sides… I’d still choose production. There’s always a great sense of camaraderie when you work with a great group of people. And nothing tests you like the shortage of time and money in a high stress group setting where everything is going wrong on the eleventh hour. You see some truly amazing people. Having said that, if given the chance, I’d love to do post again. It was almost therapeutic to cleanse the chaos of production and get a moment to work out ideas under my own terms. Kirill: There’s a lot of emphasis on design across many industries, and a lot of companies want to highlight their investment in design. When expectations are that high, does it make it a harder field to be in? Karen: In a broader sense, the world being more design conscious is a great thing. Municipal design is a prime example of what I see as a benchmark for design. It has to be enjoyable and assessable. The public transit system in Los Angeles, Metro, just keeps hitting it out of the park in my opinion. They made something that we often take for granted into something that’s fun, joyful, and an enriching addition to urban life. That is what design should aim to do– to inspire joy while capturing important experiences. I think it’s great that everyone cares more about design today. Design isn’t just pretty graphics. It’s appreciation for the everyday things that touch our lives. The expectation may be higher, but hopefully it breeds a new generation of designers who push that and make design something that can be appreciated by everybody. Kirill: You kept on going back to having restrictions of time and budget on your productions as one of the main factors. 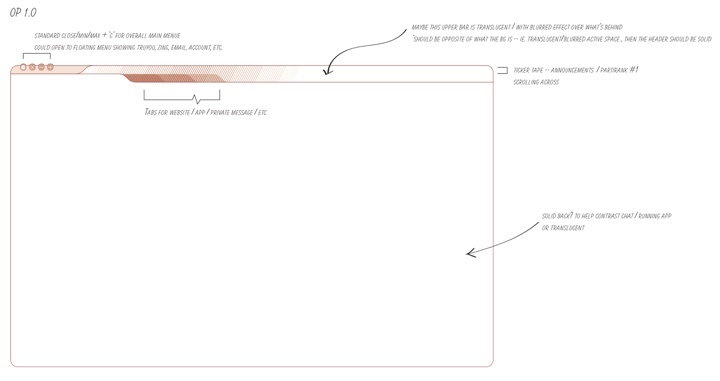 As a designer in general, is the presence of such a bounding box something that you welcome? Is it something that helps you prune out the endless exploration and focus on a more narrow subset of paths? Karen: I go back and forth. You never want to start out thinking that you’re at a disadvantage in the design process, feeling that you can’t go big. You should always go bigger, and then refine and reign it in. You start with the time you have and work your way backwards. You have parameters of time, budget, dimension, material, etc. And within those guidelines, you do your best to explore and execute a design that answers all questions. It pushes you to prune and edit, distilling something to its essence. Limitations don’t always have to be constricting negatives. If anything, they are challenges of how to design smartly and to creatively solve problems. Some of the best design solutions in any field come from reacting to context and constraints. Ultimately, it’s vital for any designer to try and see what often feels like a burden as a welcome challenge. It’s always those restraints that often produce inspired work. And here I’d like to thank Karen Sori for taking time out of her schedule to talk with me about the world of graphic design and what went into crafting the screen graphics of “The Circle”, and for sharing the supporting materials for this interview. You can find Karen on IMDb and ADG. And if you’re looking for additional information and articles on the art side of filmmaking, the main ADG site is the right place to start. “The Circle” is out now on BluRay and other physical and digital formats. Finally, if you’re interested to read additional interviews about the wonderful world of screen graphics and user interfaces for film and TV, click here for more.